Confession: I have a semi-obsession with today’s featured woman. 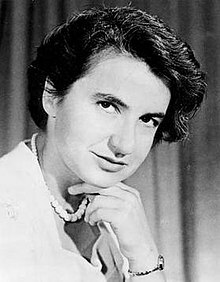 Rosalind Franklin was born in London in 1920. By the age of 15, she knew she wanted to be a scientist. Her father, however, wanted her to be a social worker. She entered Newnham College in 1938. By 1945, she had earned a doctorate in physical chemistry from Cambridge University. In 1956, Franklin was diagnosed with ovarian cancer. While undergoing treatment she continued to work, publishing 13 papers throughout 1956 and 57. She died in April, 1958. In 1962, Crick, Watson and Wilson were awarded the Nobel Prize for their discovery of the double helix model of DNA. Rosalind Franklin: The Badass Scientist whose research was responsible for the discovery of the DNA model. Rosalind Franklin: The woman whose name you most likely never learned. Read more about Franklin here. So, why am I obsessed with the colossal shafting of Rosalind Franklin? Franklin represents to me all the hurdles that women did (and do) face in fields that are dominated by men. Shut out from networking and the casual sharing of information over dinners and clubs, in backrooms and labs, she STILL managed to produce results. Current books which do mention Franklin talk about her abrasive attitude and difficulty to work with–traits thrown at groundbreaking women all the time. 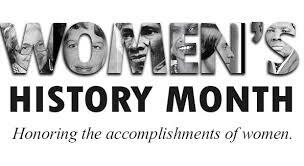 Imagine working, as the only woman, in an isolated environment, without access to the same information, and essentially being told to smile more. Imagine what she could have done had she had access to the same information, the same level of academic involvement and confidence in her career, the same networks and assumptions.